For the first time in BC Race Cars’s history, we achieved pole position! 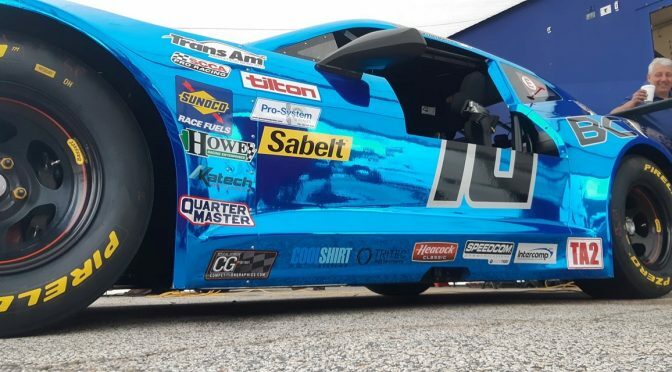 Misha Goikhberg drove the #10 TA2 BCR Camaro to the #1 spot at Road Atlanta for round 2 qualifying of the SCCA Pro Trans-Am series. Although both cars were quick all weekend, Misha was not happy with the balance and unpredictable handling of the car during this morning’s practise. The crew and engineers went to work and with only minutes left to grid were able to complete a thorough rework of the set-up. Misha drove an incredible lap, right on the ragged edge and that was enough for this awesome moment for him and his team! Of course, the real target is tomorrow’s race and we are working hard to anticipate a change in weather and how that will impact track conditions and set-up.